Posted by Trixie. December 27th 2015. Move over dogs, cats rule the internet! Whether it’s crazy compilation videos, hilarious memes, or touching stories, cats are capturing hearts everywhere. Looking for much-needed advice to calm your furry friend? Want more information on your particular cat breed? Or are you looking for humorous ways to better train your cat? 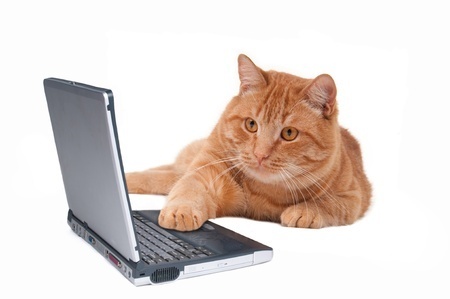 If the answer’s yes, these three cat blogs are great source to keep you informed and entertained while making sure your cat’s needs are met. Looking for a great resource for your feline friend? Then, look no further than this cat blog. Your Cat provides cat owners with practical skills and insights necessary to give your beloved pet a comfortable, long and happy life. Whether you want to tame your cat’s aggressive behaviour or are curious about your cat’s health, this cat blog helps you maintain the safety and comfort of your feline friend. For furry lovers everywhere, the Love Meow cat blogs are a great resource for cats looking for a new home. Offering help to local shelters and rescue groups, Love Meow gets the word out there while giving a little kitty the second chance of a good life. Looking to add a feline to your family? Or are you interested in how you can help in your own area? This cat blog is a great place to start. Connect with cat lovers, submit your cat stories and receive important information needed to make cats happy. Purrrrfect! Covering all things feline, the Cat Time blog has a variety of topics fit for all cat lovers out there. Need advice about raising kittens? Or are you wondering if you should get that cat nip everyone has raved about? Look no further, Cat Time has advice about products, practical tips and plenty of funny stuff too. It’s well worth a read.